CooksRecipes has quality, kitchen-tested recipes for diabetic-friendly salad dressings that you can count on for accuracy and deliciousness. 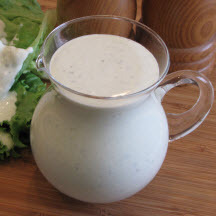 An easy to make dressing that can also be used as a dip. Great with fresh vegetables and salad greens.